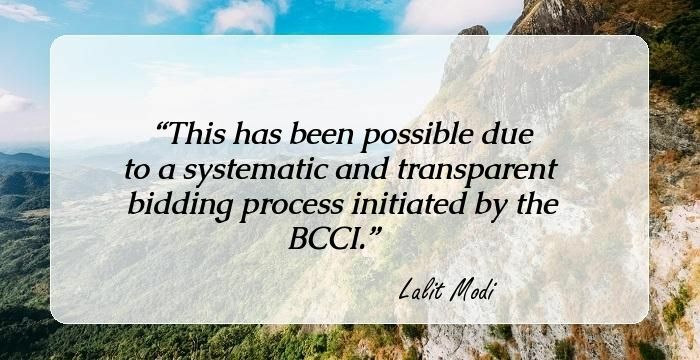 Lalit Modi's name became synonymous with the Hullabaloo of Indian Premier League, the professional Twenty20 contest. A big hit among fans and players from all across the globe, Modi was the brain ticking behind the gala event. Here's an interesting story from the life of this famous entrepreneur on how he used his network of contacts to rake in moolah through IPL, before he faced a life ban. It was the week before the first ever IPL match was to be played and timing of GoAir's launch suited the timing like ginger and bread. Modi brokered a deal with Nusli Wadia to charter a flight to transport celebrity guests to Jaipur, the venue of the first game. Wadia saw the silver lining and was onboard with the plan. It will give the launch of his son's airline the perfect media coverage as the guest list included big guns of Bollywood, like Suniel Shetty, Neha Dhupia and Arjun Rampal. But it was not the end for Modi. He orchestrated a marketing strategy by putting up a Rajasthani shamiana at the game venue and offered the fans an offer hard to refuse. Anyone who bought four tickets would get to park within 100 metre of the celebrity hub and even get their photos clicked. An instant hit among cricket and Bollywood enthusiasts, tickets sold for a whopping price of Rs. 10,000; first time ever in the history of Indian cricket. It is hardly a mystery how IPL gained popularity at the behest of Modi's razzmatazz. 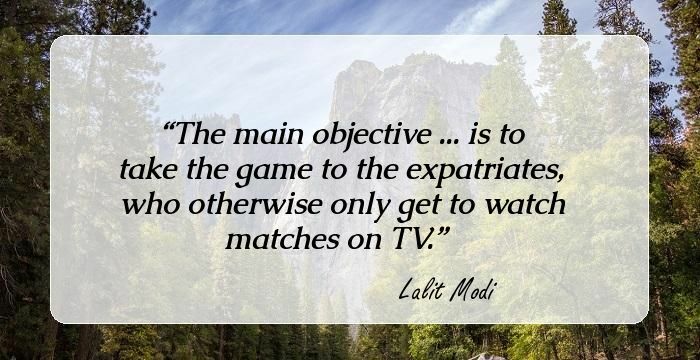 Here are a few inspirations quotes by the famous cricket administrator Lalit Modi. 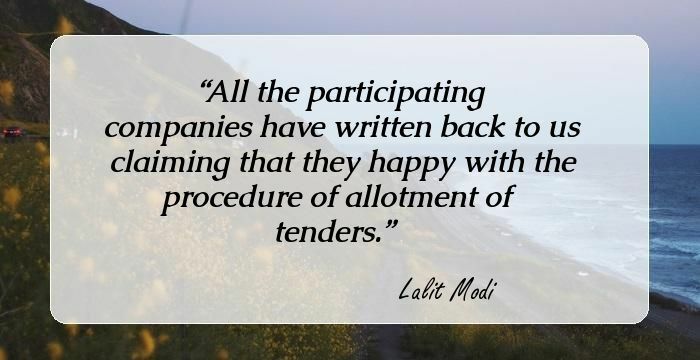 All the participating companies have written back to us claiming that they happy with the procedure of allotment of tenders. This has been possible due to a systematic and transparent bidding process initiated by the BCCI. The main objective ... is to take the game to the expatriates, who otherwise only get to watch matches on TV. The Committee also has some former cricketers, so that the selection process is fair as so much money is at stake. It wanted specific and later-stage matches, presumably the semi-final and final, which was uncalled for. Our vision is to embrace the entire Indian community worldwide. We are not increasing the number of playing days of the team. When you go to a venue you either have a profit-sharing or you give a flat fee. The CAB has lost the chance of hosting Champions Trophy because of putting unreasonable conditions. We secured a big amount because of the transparency we ensured and also because we did not bar any marketing or production company from making bids. 25 Inspirational Quotes By Vijay Mallaya The Poster Boy Of Flamboyance And Lavishness.